As part of Smart Nation Singapore, Govt of Singapore made strides this week by slashing the Airwave fees. 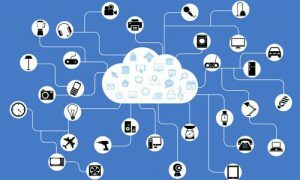 The move is to encourage companies to try out the technology on 5G. 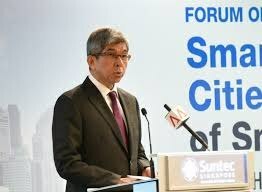 In the recent meeting, the Singapore Govt Minister Mr. Yaacob Ibrahim encouraged participation from product and service companies to leverage the Bandwidth and come up with innovative ideas. The new 5G telecom services will enable Instant responsive internet. The instant responsive internet will help in situations like driverless cars, remote surgery, Leverage VR technologies for education and support of movement through machines that require quick response . All the above usecase have high dependency on high bandwidth internet. The high bandwidth Internet services will enable the driver less car a reality. The 5G telecom services will serve as a boon to the Singapore residents. The Singapore is having more aged population and need high medical and social support, having technology to support it will be very much important. Govt and private bodies have tied together to make 5G adoption an reality. From emerging market perspective. India which bypassed 2G, 3G and entering 4G will have an advantage of leap frogging some of the hurdles and adopt new technology early. 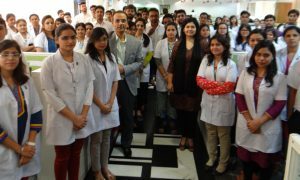 The ability to provide high end medical services to each hospital can be a reality. With increased usage of VR, the health use case scenarios have high applicability. The education services can see high impact delivery with 5G. The VR and 5G clubbed together will provide amazing experience to the student community. The use case of leveraging 4 and 5G is amazing in country like India. With tech savvy and Mobile enabled user getting exponential growth, the usage of the applications and services to enhance health, education and media will see more adoption and growth.